EZLinks Golf, golf’s leader in software, e-commerce, and professional services since 1995, announced a milestone today booking its 75 millionth round of golf through the EZ24 PRO Reservation Center. The industry’s largest reservation center answering calls and booking reservations on behalf of golf course clients, EZLinks provides golf courses with a cost-effective means to capture every round and to provide the highest level of customer service. EZLinks currently takes reservations for more than 750 course clients. Clients can employ EZLinks to take every call, to take overflow calls when on-site staff are busy or to take calls overnight. In a recent study, EZLinks determined that over 10% of tee time reservations were booked after the pro-shop was closed with after-hours reservations translating into millions of dollars annually. The EZLinks Reservation Center opened in 1996 and expanded to its current 24/7/365 service in 1997. It hasn’t closed in 21 years, staying open for all holidays, inclement weather in its Chicago headquarters, and even an office move. EZLinks Reservation Center agents are now located in 10 states, including a dedicated reservation center in Scottsdale, Ariz. The EZ24 PRO reservation center agents have live access to courses’ tee sheets, enabling real-time visibility to available inventory, ability to book multiple rates, ability to move or change tee times, insights into real-time weather conditions and course conditions and can even provide personalized turn-by-turn direction to golfers. In addition to providing incredible service to golfers, the agents also collect data on every single golfer including email addresses bolstering clients’ marketing and customer relationship initiatives. Debbie Martell, EZLinks’ senior director of reservation services, has been with the company for nearly 20 years and points to EZLinks’ focus on ongoing training and innovative thinking as crucial to the success of the team: “We provide our agents with over 30 hours of training before they talk with live golfers, and of course, ‘Every call is recorded for quality assurance’ so that we can offer ongoing guidance for the level of service our golfers expect.” For more information, visit www.ezlinksgolf.com. To schedule an appointment at the 2019 PGA Merchandise Show, visit www.ezlinksgolf.com/pga-show. Golf EZLinks Golf LLC, a PGA TOUR affiliated company, produces industry-leading software and services to power the operations and marketing needs of the golf industry. 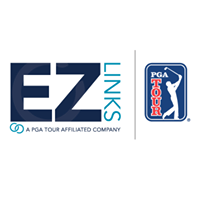 Founded in 2015 by a PGA TOUR affiliate and EZLinks Golf, Inc. (established 1995), EZLinks Golf LLC’s software and service suite is tailored for golf and includes tee sheet, point of sale, 24/7 reservation center, online booking engines, marketing services, 24/7 support and TeeOffTM by PGA TOUR (teeoff.com) – an online tee time marketplace connecting millions of golfers with tee times at golf courses worldwide. For more information, visit ezlinksgolf.com.